Thank you for giving to Pacific Gives! 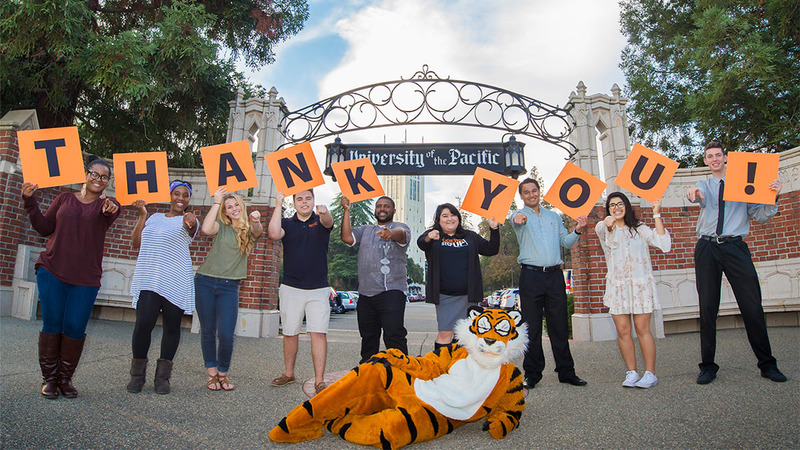 From all of us at University of the Pacific, thank you for your incredible generosity during Pacific Gives 2018! Thanks to your support we raised over a half million dollars in support of our students, faculty, and staff. Thank you for everything that you do for our university! Each gift to the University Library renovation project will be matched dollar-for-dollar until $7,500 is reached. Each dollar given to the Pacific Learning Innovation Fund will be matched by the Powell Match Program.